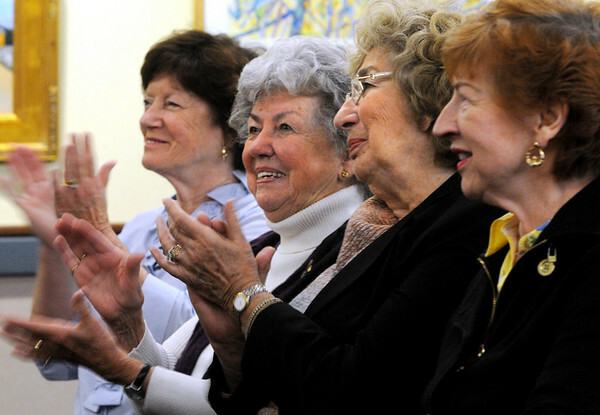 From left, Louise Scanlon, Alice Burns, Joan Heller, and Betty Murphy enjoy the music performed by pianist Dan Murphy, singer Maureen Pilot, and Pierre LeMieux on bass. The muscians performed a nostalgic review of wartime tunes from the World War II era, and how they reflected the times. The performance was at the Beverly Public Library on Monday morning. Photo by Ken Yuszkus/Salem News, Monday, November 8, 2010.